A Visit to Storytellers, Inc.
Last weekend, my sister and fellow blogger Chrissi Reads went on a bookish trip to St Annes-on-the-Sea near Blackpool to visit our blogger friend Luna’s Little Library. Top of the agenda was a visit to Storytellers, Inc, a beautiful specialist children’s bookshop right in the heart of the town. Storytellers, Inc is the brainchild of Carolyn and Katie Clapham who are passionate about children’s literature and encouraging children to enjoy books from a young age. Their dream turned into reality in November 2010, when Storytellers, Inc opened their doors for the first time and since then they haven’t looked back, keeping up to date with the latest literary trends and awards so their stock is always current, relevant and exciting for customers both young and old. From picture books for the very young to the latest YA must-reads, from beautiful stationary and book-related gifts to comfortable sofas and a secret den, this bookshop is a veritable treasure trove for the developing bibliophile. The fabulous reading den at Storytellers, Inc.
Storytellers, Inc is not just a bookshop, it’s so much more. Carolyn and Katie also run book clubs for all ages and reading abilities, activity sessions, themed events and competitions while also providing a book ordering service for that special something you may be looking for. 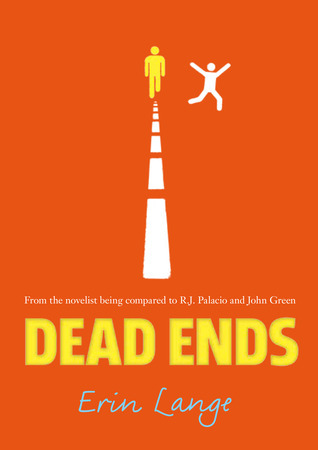 One recent event held on the 31st March involved a visit from Erin Lange, the author of the book Dead Ends, which I managed to pick up a signed copy of during our visit. A powerful, breathtaking coming-of-age novel about friendship, family and the journey of a lifetime by the critically acclaimed author of Butter. We arrive at Storytellers, Inc…. …and this is what we were greeted with! Left of the picture is the books we had ordered and on the right is the wonderful little tea party complete with tasty cakes that Carolyn and Katie had kindly organised for us so we could munch/drink away while gazing happily at our book selections. Thanks guys! And there’s a lot to look at…. As you can see, I’m quite engrossed! We then spent quite a while wandering around the shop looking and “oohing” at various things, before taking our stacks of books to be paid for. We ended up buying quite a bit… in fact so much that Carolyn and Katie had to lend us a little trolley to get them back to Luna’s. Also many thanks to Luna’s Little Library for letting us stay with her and giving us a beautifully bookish weekend! It looks like they’ve got an awesome initiative going at Storytellers, Inc. Anything that promotes reading in a fun and fabulous way gets my vote! And yay for mega book buying!